Undoubtedly one of the most talented female singer that the Southern film industry has ever produced, K.S Chitra is the jewel that keeps shining on! She has recorded more than 25,000 Songs for various films and albums. 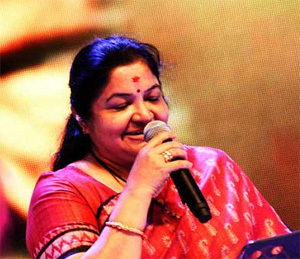 A versatile singer par excellence with a repertoire of South Industry’s choicest numbers, Chitra, apart from being a fantastic singer, is a good human being sporting a smile - always. Her choice of music, the unique classical treatment with consistent quality, have given her an identity that very few receive in the industry. 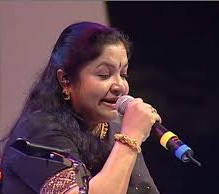 Anu Gopalakrishnan, in an exclusive for Miindia.com had a candid chat with Chinna Kuyil – Padma Shri K. S. Chitra the Southern Nightingale, who spoke about her successful US tour, the changing landscape of the music industry and shared her learnings that could help aspiring singers. How did your collaboration with Sharreth happen? Sharreth is known to my husband and I have been working with him since he started his career in the film music industry. So, it was very natural to do a tour with him as it was convenient. In 2013, we also started judging a professional reality show in Malayalam together. Sharreth comes with a strong classical background and he also gave such numerous hits. So, this automatically allowed us to collaborate for this tour. With such a great repertoire behind you, does the song come to you or you choose the songs? Ah! I can’t choose my songs for the film. In fact, I would know that I am singing a specific number only on the day of the recording. With private albums, I can be choosy as it requires a lot of prep work ahead of time. With films, to date- I wouldn’t know the songs until the day of recording. For me, that keeps me excited and eager to look forward to the recordings. In a day, I would sing from folk, classical to simply light music or even a jingle. …and how many recordings in a day? During the peak of my career, I would have at least 10-12 songs a day. Now, I have begun to slow down, so I do about 3 songs a day. Additional to that, I have reality shows and tours. I am busy but I control my pace of work now. 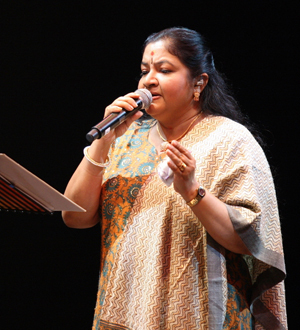 KS Chitra is synonymous with melodies. Is this what you wanted to do always? Yes. That’s what I was trained to do in my mind. If a director comes to me, the first thing I scope out is the genre of music. To me, a melody is an essential characteristic to a story and heightens the emotions of a film. I have always enjoyed singing melodies and I will not have it any different now. How is your experience working with newer and older artists? I sang with several artists over several years. In the past, there were not that many lead singers. The reality shows have helped artists come a long way. The newer artists are very aggressive. But, all of them are very talented and you always learn something for everyone. Every song comes with an expiry date these days, what has triggered this change in the music landscape? I am not complaining, but all I have to say is that technology helped a lot of mediocrity. Music composers today record two or three versions of the same song and then release only one version of it. Lots of changes in the way composers create their original compositions, select their singers. Also, music is not part of a script anymore. There is no poetry, meaning in some of the lyrics. Again, it is the audience. They are the only ones who can make a song popular. Don’t get me wrong, I think music industry is not the only one experiencing a lot of changes. All industries are going through huge changes these days. In my earlier days, music had team effort. There was respect for artists, their time. We created our own identities and we played it in harmony. Where is Southern film music compared to Bollywood, in terms of quality? There used to be a time in Bollywood when there was a healthy competition between Lataji and Ashaji. Similarly with other singers. The competition was not who gets more songs to sing. The competition was on variation, versatility. Southern film songs have more classical base to it. Both industries have its strengths and weaknesses. These days, all songs are plain. You don’t get that effect of a performer or a performance in the song. Even in competitions, the participants pick old songs because it has more variation in it. The current film songs are not competition worthy. The movies come and go, and so do the songs of today. I am not dismissing those very few films that have quality music. It is rare. What’s your take on Remix, cover versions etc.? As long as you don’t spoil the composer’s name and the composition. Cover versions are for people who imitate. I am not saying it is wrong. It is not original. What are your pearls of wisdom for singers of today? I am still learning. All I would say is learn, practice, and work hard and keep repeating that. It is important for one to take care of the voice. With the kind of food you see around, climate change, singers have to be cautious about what they eat and the care that goes behind it. Make every moment educational. Never fail to practice. Chitra Salabangal – Butterflies of music (May 18th) – any message for the Michigan audience? We will be singing a lot of varieties. The previous audiences from various tours across USA loved our song selection. 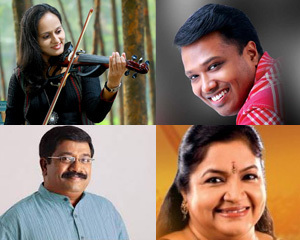 Malayalam and Tamil songs with a lot of high impact. We have 4 singers for the night, 8 musicians and one sound engineer. Nishadh is a very talented singer. So is Roopa Revathi, a wonderful playback singer and a violinist. Sharreth is not a stranger, apart from music composition, a classically inclined singer. We will be singing all film songs- original melodies with a combination of old and new. I want to welcome all the music lovers of Michigan to come join us. Detroit Music Lovers!!! Come, experience an enchanting night with the most talented artists of the Southern Film Industry. Kerala Club of Detroit - one of the most vibrant organizations in Michigan, together with Freedia Entertainment are bringing this live concert to music connoisseurs in Michigan. A promising evening awaits you. For more details, visit the event page. Buy your tickets now! Special thanks to Sujith Menon (President- Kerala Club of Michigan) for coordinating the interview with the most talented K.S. Chitra.